Heated floors aren't just comfortable, they can help save money! 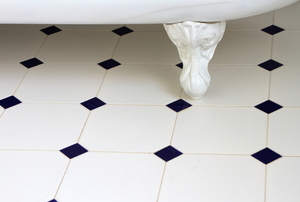 Our in-house expert answers a reader's question about adding a new bathroom floor. 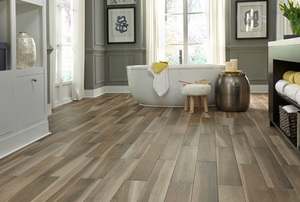 Read this article for advice on selecting a bathroom floor covering. 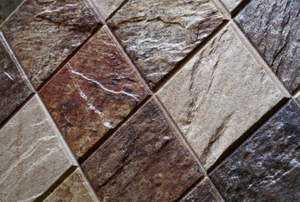 Read this article for information on how you can keep your marble floor warm. If your investing in floor tiles for your bathroom, having a great design that expresses your personality is important. Read this article for advice on bathroom floor tile design. Retiling your bathroom can give it an entirely new look and feel. 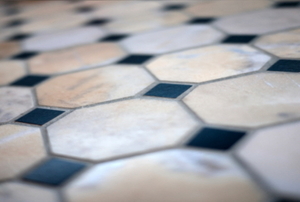 Read this article for important advice to make your tile installation project go smoothly. 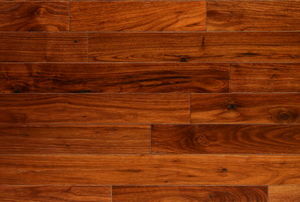 Read this article to understand the benefits and drawback of bathroom laminate flooring. 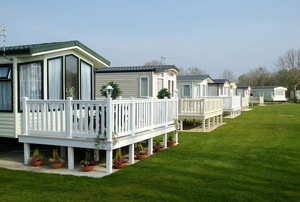 Our in-house expert answers a readers' question about mobile home bathroom floors. 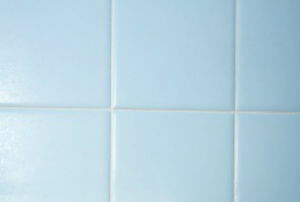 Read this important advice on tiling a bathroom. 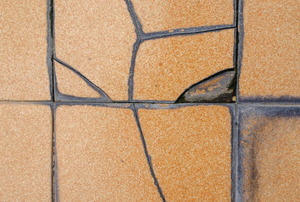 Follow these steps to repair a damaged tile floor. 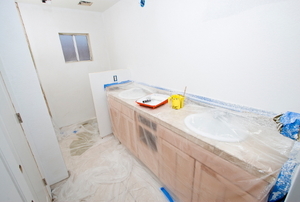 Read this article for advice on budgeting time and money for a bathroom tile project. 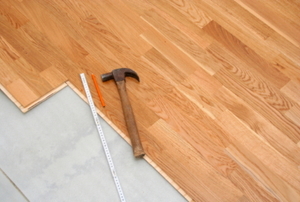 Why Remove the Baseboard When Installing Laminate Flooring? 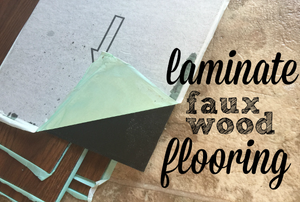 Read this article for quick advice on why must remove the baseboard and have adequate work space when installing laminate. 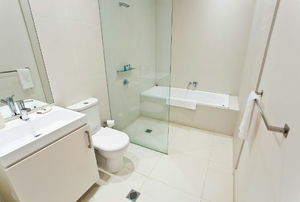 Read this article for advice on choosing bathroom flooring. Read this article for advice on the pitfalls of marble and ceramic tile floors, as well as ways to avoid damage or stains. Follow these steps to install a custom tile shower. Read this article for advice on redesigning a bathroom with tiles. 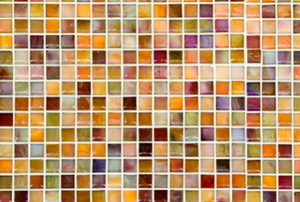 Choosing the correct tile for your bathroom remodel can make or break the project. 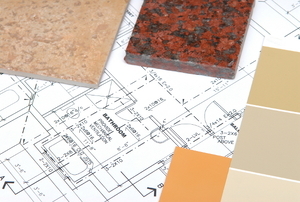 Follow this advice when selecting your bathroom tile. 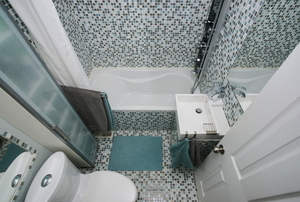 If you want a unique bathroom floor, consider making a custom design with mosaic tiles. 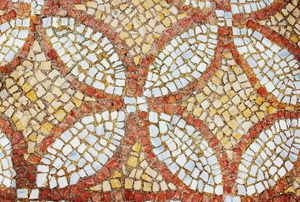 When designing your bathroom floor, consider using a mosaic tile scheme. 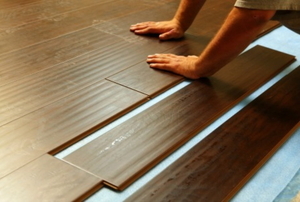 Follow these steps to install laminate flooring. 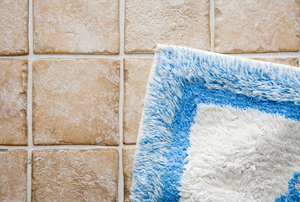 Read this article for advice on choosing between linoleum and tile for a bathroom floor. 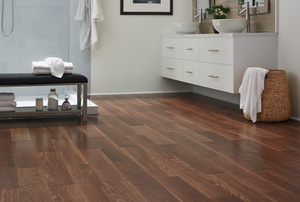 Read these tips on installing a wood floor in your bathroom. 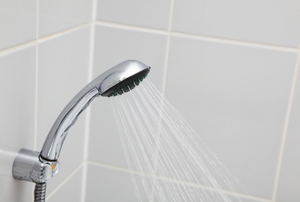 Follow these steps to install radiant floor heat in your bathroom. Follow these steps to remove a sink when laying floor tile. 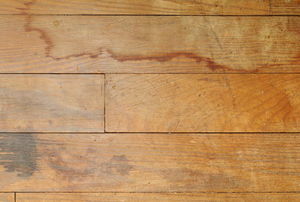 Read this article to understand why installing hardwood floor in a bathroom is a bad idea.